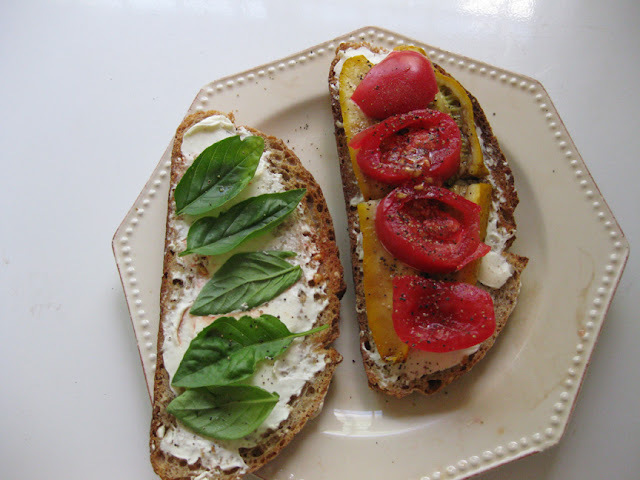 A mid-week lunch was a variation on my favorite tomato and basil sandwich, and then because it was so hot, a small dish of vanilla ice cream with rose preserve topping. Super summery. This rose jam came from one of the Middle-Eastern markets in town. 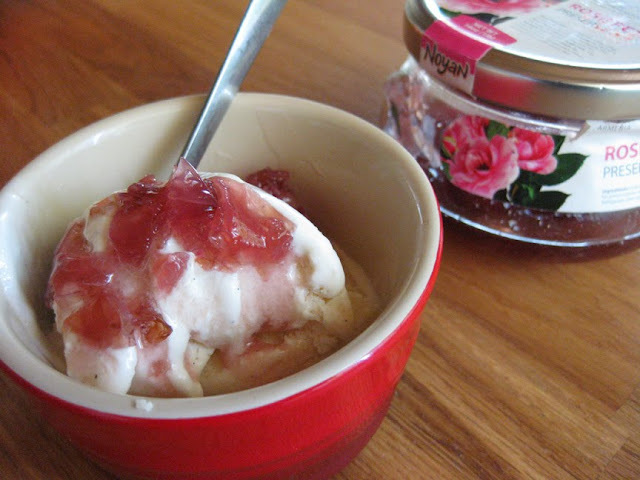 Our attempts at making Oaxacan style rose ice-cream haven't been entirely satisfying, not rosy enough, but this is a good substitution. I could eat that sandwich every day. Love it. Me too, nothing can beat a good tomato sandwich.